Posted By:Unknown | At:4:07 PM Be the first to comment! 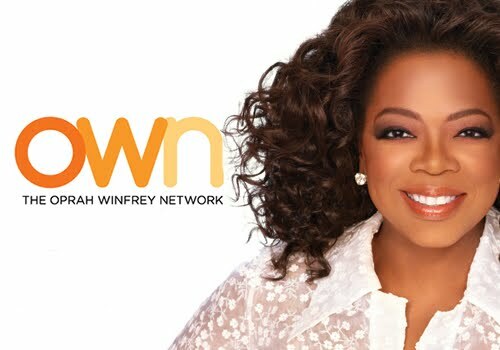 Los Angeles, CA - OWN: Oprah Winfrey Network announced today the launch of an online sweepstakes at Oprah.com in support of the new series "Oprah's Lifeclass," formerly "OWN Your Life (the oprah class)," and its online companion course. Starting today, viewers can enter the sweepstakes for a chance to meet Oprah Winfrey at the O You! event in Atlanta, Georgia and reserve their spot for the online companion class at www.oprah.com/oprahslifeclass. The first one million people to sign up for the online class will be eligible to receive an exclusive, limited edition Oprah's Lifeclass Journal, and can enter for the chance to meet Oprah in-person at the O You! event hosted by O, The Oprah Magazine. In addition, up to fifteen winners will receive an all expense paid trip to Atlanta to participate in O You!, where they will be the first students in Oprah's class and join her on stage. Sixteen million viewers in the United States alone tuned in for "The Oprah Winfrey Show" finale. In the historic final hour, Oprah took the stage as teacher in the world's biggest classroom highlighting the principles that guide her life, many of which were gleaned from the 4,561 hours of "The Oprah Winfrey Show." In an all-new series, "Oprah's Lifeclass" Oprah reaches back through the show's 25 year history to teach the lessons that matter most to her... the guidelines for fulfilling your life's potential, breaking through your barriers, understanding your purpose, letting go of anger, how to use joy to fuel your life, and becoming all you were meant to be. Oprah will share her most personal revelations, and what she thinks now about those iconic show moments and guests. "Oprah's Lifeclass" will also have an online companion, Oprah's Lifeclass, including actual course work on Oprah.com, for an even more enriching experience. "Oprah's Lifeclass" premieres Monday, October 10 (8:00 p.m. ET/PT), and is produced by Harpo Productions.